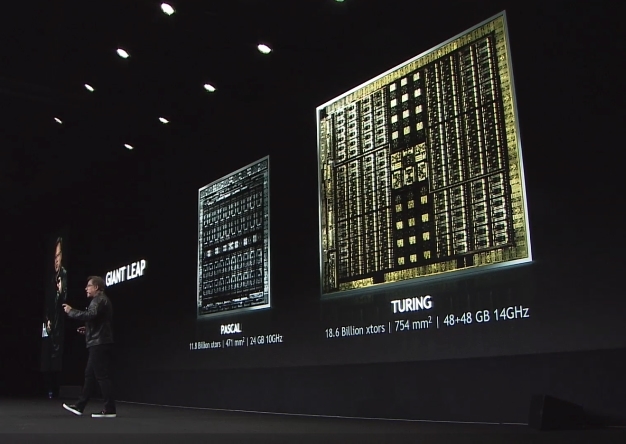 Besides the Deep Learning Super Sampling and ray tracing tech that might not be implemented in games right away, the RTX 2000-series GPUs also integrate a series of features that could theoretically bring 50% performance gains over the Pascal chips. Videocardz made a brief summary of all these features, which should be explained in detail after the review embargo lift from tomorrow. A couple of days before Nvidia lifts the review embargo for the new RTX 2000 GPUs on September 14, the guys over at Videocardz unveiled a short summary of the Turing architecture white paper, which details all the new technologies that facilitate a theoretical 50% performance boost over the Pascal chips. The first detailed reviews of the Turing gaming GPUs should be published over the weekend and we will finally find out if it is worth it to buy into the ray tracing hype, or maybe it would be a smarter move to grab the GTX 1080 at extra-discounted prices.